New destinations include Lebanon, the Baltic states, the French elections and Colombia. Call us on 0843 289 2349 today for details not yet on the website. Glamorous and challenging, scarred by war and yet remarkably stable; Lebanon defies all expectations. This tour delves into the country’s recent past, explores the impact of the conflict in Syria and looks at the balance of power between its diverse religious groups. We meet with some of Lebanon’s best-known political leaders from Nabi Beri to Walid Jumblat and visit the wonderful Roman ruins at Baalbek. 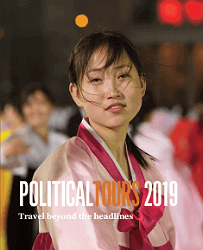 The tour is lead by Nicholas Blanford, one of the foremost commentators in the region and a frequent writer on Hezbollah. If Donald Trump has his way Iran’s rapprochement with the West is in doubt. Author and former Economist correspondent, Christopher de Bellaigue, considers what change is afoot on our Iran tour with exceptional access. Meetings include a senior religious figure, visits to local businesses, schools and a national newspaper. The tour travels through Tehran, the Valley of the Assassins and has an optional extension to Isfahan. Early booking is advised – this is a popular tour. After Brexit and Trump, all eyes are on France. A political upset here would leave the future of the EU hanging in the balance. Centre-right leader Francois Fillon is pitted against Marine Le Pen, leader of the anti-immigrant eurosceptic Front National as the incumbent Socialists trail behind. We travel south looking at rural and provincial France before ending in Paris for the vote. Like our US election tour in 2016 this could be an opportunity to see history in the making. Vladimir Putin’s Russia has regained much of its standing lost during the years of chaos of the 1990s and has emerged as a major challenge to Western governments. On our tour of Russia over 8 days, we examine Russia’s recent history, its relationship with NATO and the conflict in Ukraine as well as Putin’s increasingly firm grip on power at home. The tour is led by former BBC Moscow correspondent and one-time Kremlin advisor, Angus Roxburgh. With the US-NATO alliance in question and a resurgent Russia, the Baltic states are understandably nervous. Our tour looks at relations with their former Soviet ally, tracks tales of espionage and examines the uneasy situation with the region’s Russian minority. Leonid Ragozin former BBC Russian correspondent leads the tour through Estonia, Latvia and Lithuania with contributions from leading journalists in each state. Predictions of the Democratic People’s Republic of Korea’s collapse are abundant but still the Kim regime remains firmly in place. We explore how and why with Professor Rüdiger Frank, widely acknowledged as the world’s foremost economist on North Korea. Pre-tour briefings include meeting with diplomats and journalists in Beijing as special briefings in the UK. 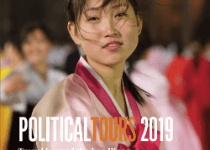 On our North Korea tour, our unique access within the country also provides insight into the lives of ordinary North Koreans as well as visits to key sites including the Demilitarised Zone (DMZ) with South Korea. 2017 marks the 50th anniversary of the Six Day War and Israel’s capture of Jerusalem and the West Bank. Despite the lapse in time, talk of a peace-settlement with the Palestinians seems as remote as ever. Our Israel and Palestine tour looks at views from both sides with extensive visits throughout the West Bank and Israel: from right wing settlers to Palestinian militant groups and the mainstream political parties. Our tour is led by Gershon Baskin, director of a joint Palestinian-Israeli think tank and a renowned peace-activist. In September 2016 the Colombian government and the leftist guerilla group the FARC signed a historic peace deal ending the longest running conflict in South America. After a shaky start the agreement is being implemented and the conflict has subsided. We look at the huge issues that remain a year on from the accords; from land reform to the disarming of the former rebels and the long hoped for peace-dividend for the economy. The 12 day tour through this beautiful and varied country includes the capital Bogota, former drugs capital and now coffee mecca Medellin and the colonial city of Cartagena on the Caribbean coast. The tour is led by The Times correspondent in Bogota, Laura Dixon. 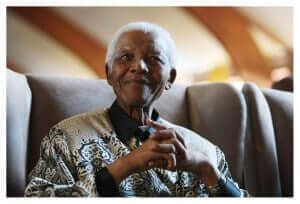 We assess the legacy left by Nelson Mandela and challenges that remain in this wide-ranging tour that takes in the rural lands of Kwa-Zulu Natal, urban Johannesburg and the stunning Cape Wine Lands. Still admired for its peaceful transition from Apartheid rule to a multi-party democracy, South Africa is now struggling with more familiar problems: corrupt politicians and a lackluster economy. Can it turn itself around? Our tour of South Africa is lead by the inimitable Peter Sullivan, one of South Africa’s best-known journalist’s whose contacts are second to none! Please email [email protected] if you want to book a place on any of the trips and tours. Or just call us on +44 843 289 2349.